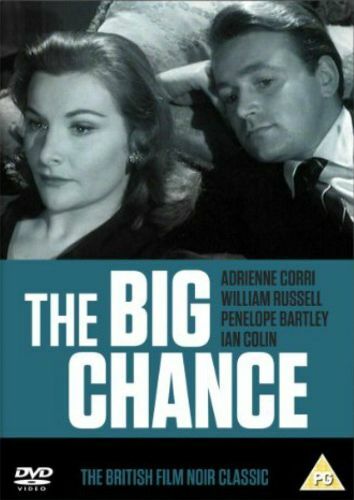 Director Peter Graham Scott adapted the screenplay of the British The Big Chance from a novel by Pamela Barrington. William Russell plays a travel agency clerk who pines away for socialite Adrienne Corri. Unable to support Corri in the manner in which she is accustomed, the desperate Russell seeks out ways of realizing some quick money. He decides to rob the agency where he works-major mistake. The Big Chance goes from crime to punishment in a greased-lightning 61 minutes.